Where you live you usually know exactly what you’ll be wearing depending on the month of the year. All of the seasons are familiar to you, and while there may be some variation, you have a pretty good idea of what to expect to happen. Plus, you know exactly what types of activities you can get up to in your area. You know when it’s a good time to go fishing, swimming, or ice skating thanks to these seasons. 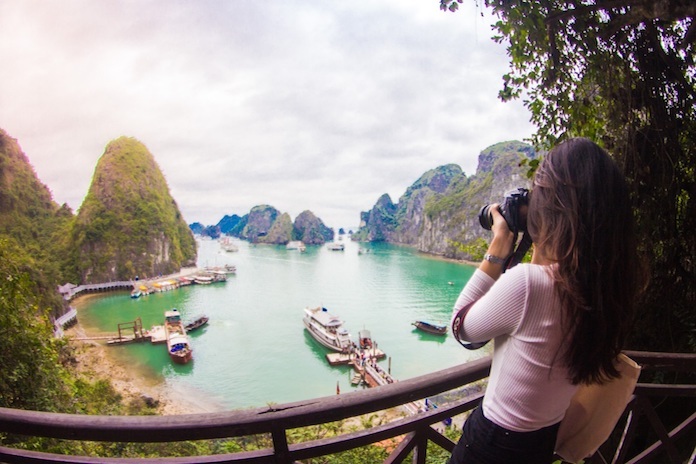 Traveling to an exotic location like Halong Bay in Vietnam may make you wonder what type of clothing you need to pack for the weather and what types of activities you can expect to do during your stay. 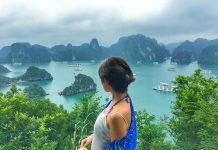 This helpful guide of Halong Bay weather will give you all the information you need to plan your packing and your itinerary no matter when you decide to visit. 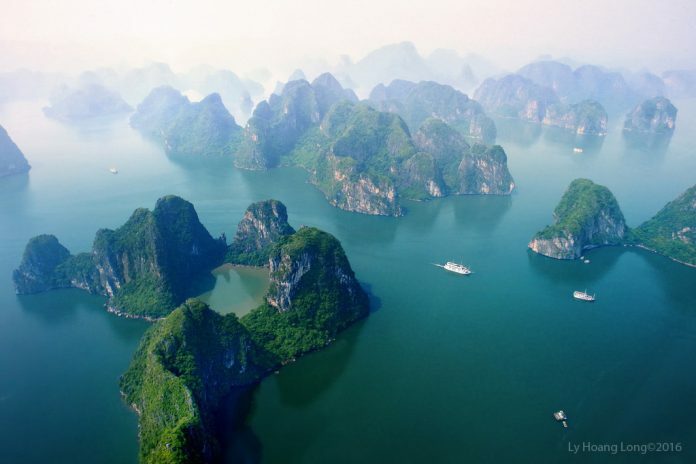 Halong Bay is located in North Vietnam. You can enjoy all four seasons while visiting this lovely region. Spring is from March and April with perfect days of warming temperatures and new blooms. The summers in this area typically run from May to October. The summers are humid and hot with a large amount of rainfall. You can experience autumn in the months of September and October. Cool days and occasional showers are typical weather in the autumn. The winter is typically November to February. The winters in this area are usually cool but dry. The temperature will average about 17 to 22 degrees Celsius or about 63 to 72 degrees Fahrenheit. Visitors that arrive in July to September may find that these are the wettest months with the highest amount of rainfall. This weather can often impact what happens on and along the bay. Haven’t set a date yet? 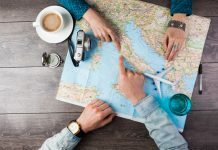 Let’s go through this monthly breakdown to help you to decide when you should visit based on your preferred weather and activities. 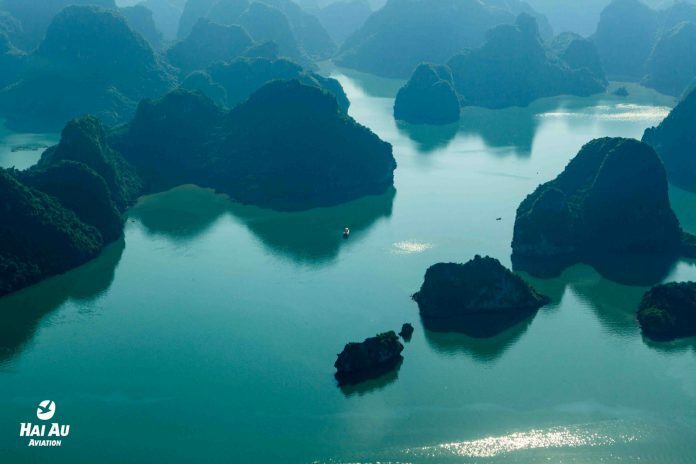 Visitors to Halong Bay can expect to experience a rather dry month. There will be blue skies and lots of sunshine for your visit. Temperatures can run a bit lower during this month at about 18 degrees Celsius or 65 degrees Fahrenheit. While you can expect there to be less rain during this time of year, you may find it can get rather misty and foggy around the bay area. At this time of year, you’re going to want to wear layers with a light jacket or hoodie. You may want to bring along your swimsuit just in case the water is nice enough for a dip. 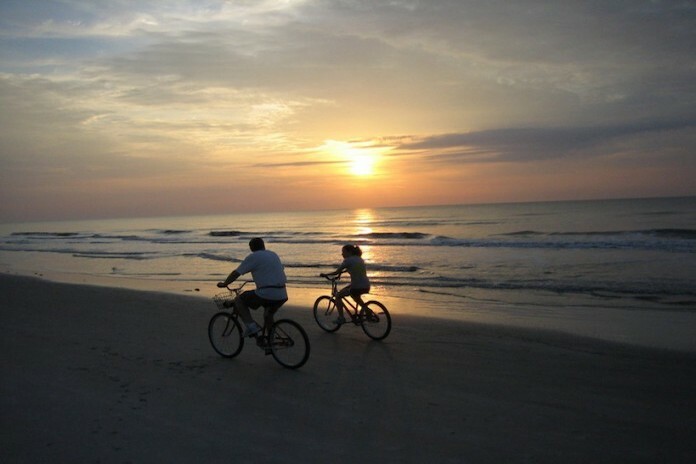 This is a good time of year for most of the activities you want to experience while in the area. 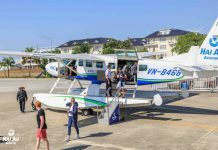 The skies are perfect for going up in the air for a seaplane flight or sightseeing off of one of the tall attractions in the area. 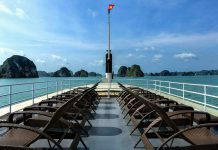 Our express trip that takes you on a sightseeing tour of Halong Bay is a wonderful choice for this time of year. The bay is perfect for going out on a junk for a cruise. The one thing that you may want to avoid during this time of year is swimming and other water activities. The water temperature may be too cold depending on your personal preferences. Like January, you can expect to experience more beautiful blue skies and loads of sunshine making your vacation lovely. However, you may notice that the days are a little cooler at about 17 degrees Celsius or 63 degrees Fahrenheit. You’ll notice that there may be the same misty conditions as the previous month. Layers and a light jacket or hoodie are perfect to have for this time of year. Most of the activities that you can do in January are also great for February. Visitors should take note that during late January and early February is Tet or the Vietnamese New Year. People may celebrate this for about six days with many people traveling to visit their ancestral homes. You may notice that if your trip is during Tet that some of the markets, tourist attractions, and stores are closed. Government offices are also closed during these celebrations. Many consider March an excellent month to visit the country. 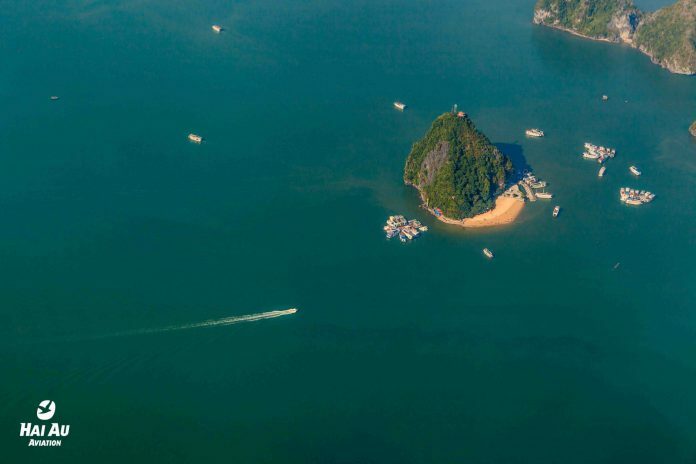 Halong Bay during this time of year features much of the sunshine and beautiful blue skies as the previous months. Plus, the temperatures are starting to rise a bit with average temperatures being about 19 degrees Celsius or 66 degrees Fahrenheit. Layering your clothing with a sweatshirt or light coat may also be necessary during this month. Temperatures in the more mountainous areas are starting warm up making it perfect for hiking. In addition, as the waters in the bay are also starting to warm, this can be a good time to start planning a dip for those that don’t mind the waters a little on the cooler side. 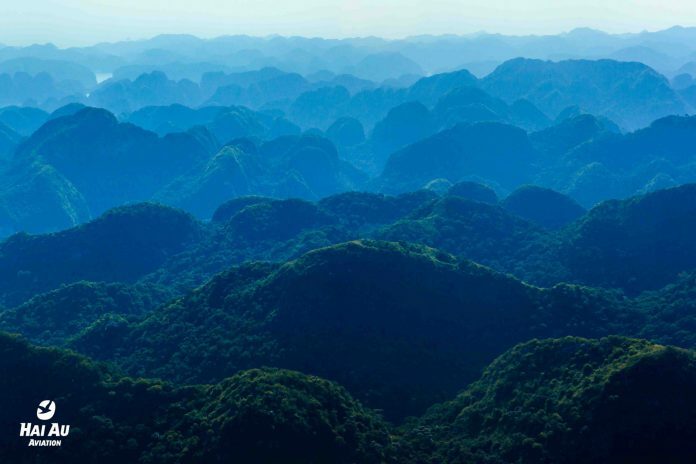 April is considered the end of the peak season as the trend of the dry weather and temperate blue skies will be coming to an end as the rainy season will begin ramping up for the summer months. Many enjoy this time of year because you’ll have to deal with fewer tourists. 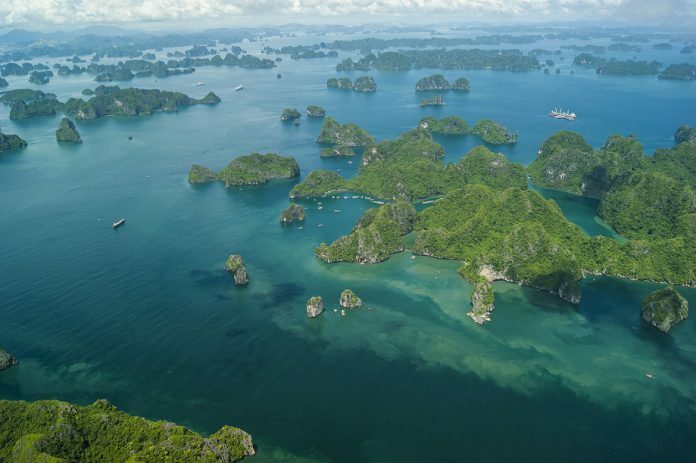 There are still plenty of dry days during the month that you can enjoy during your visit to Halong Bay. Most of the rainy days will occur towards the end of the month. The temperature during the month of April is much warmer at 24 degrees Celsius or 75 degrees Fahrenheit. At this time, you probably will not need to do too many clothing layers during your visit, and may even be able to break out the shorts. 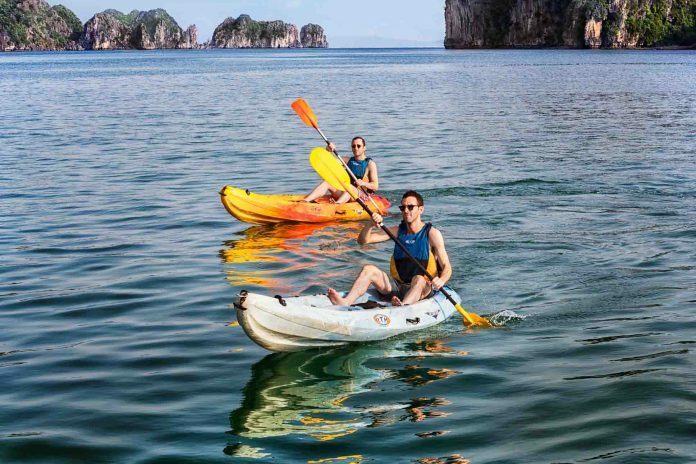 This is a perfect time for all of the different activities that you can do in Halong Bay. You’ll definitely want to bring along your swimming gear to enjoy the warming waters and drier days. Your hiking, biking, boating, and sightseeing plans are all green-lit during this time of year for your visit. 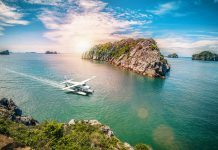 On of our most attractive packages, the flight around the bay and the overnight Emeraude cruise is perfect for this time of year. Visitors can take note that there are two different holidays during this month. There’s Hung Kings Commemorations that will occur in 2017 on the 6th of April. Then there’s Reunification Day that falls on the 30th of April this year. May is another great month for travel, but you may find the weather is a bit harder to pinpoint towards this time of year. 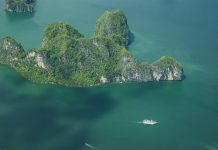 There may be more rain in the Halong Bay region of the country, and the temperatures are starting to rise into the range that makes for a summer that features hot and sticky weather. Temperatures average about 29 degrees Celsius or 85 degrees Fahrenheit, and when you combine the humidity, which can make for some toasty warm days. Luckily, being on the bay can often offset the warmth with nice cooling breezes. This time of year you’ll definitely want to pack some shorts and tank tops or short sleeve shirts. Swimsuit will certainly come in handy when you need to take a dip to cool off after a fun adventure or two. Be sure to add your rain gear with raincoat and boots to finish off your packing. If you’re not scared off by a higher chance of rain this month, it can be great for water activities on the dry days. The beach is great at this time of year because there are fewer visitors. Don’t shy away from getting wet or getting away on one of the numerous cruises around the bay that you can enjoy during your stay. There are a number of celebrations that you can plan your trip around. Labour Day happens on the 1st of May. There’s also the Buddha’s Birthday or Le Phat Dan that occurs on the 21st of May. 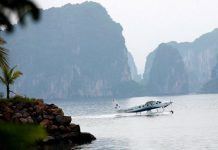 June in Halong Bay features full summer with high temperatures and rain being more normal than dry days. Those that enjoy hot, rainy weather will enjoy this time of year. There can often be very spectacular storms during this time of year, but being on the bay can help to reduce the severity of the storm. Temperatures are on the rise again as they average about 30 degrees Celsius or 86 degrees Fahrenheit. Be sure to pack clothing meant for warm weather and plenty of rain gear. You may not get a chance to use your swim gear depending on the weather, but there’s no harm in packing it. Most of the outdoor activities may be delayed or canceled due to the rainy weather, so be aware of any refund policies available in case you book in advance. This may also not be a good time of year for hiking around the country due to the rain. In late May and early June, you can expect to experience Tet Doan Ngo or the summer solstice celebration. Both July and August tend to stick to the same weather pattern. You can expect more of the same of rainy, hot days with temperatures that are about the same as June. This is a true wet season with many daily downpours expected to occur. This happens to be a time of year when there are certainly fewer visitors to the region, so this could work in your favor if you happen to find a string of days with less rain in the forecast. 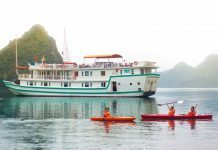 Halong Bay is usually at its wettest during these months, so that makes it very hard to enjoy many of the sights and activities that are so popular in this region. September tends to be the month where the rainy periods are starting to shift to becoming less frequent. This is especially true the closer you come to October. The temperatures are also starting to come down a bit during this time. You can expect it to be about 28 degrees Celsius or 83 degrees Fahrenheit. You’ll want to be sure that you pack your rain gear just in case along with your warm weather clothes. As the wet weather is coming to an end, you’ll find that many of the activities that were put on hold due to the rain are no longer having as many closures and delays. You’ll be able to enjoy all of the fun water activities along with being able to travel to the more mountainous regions where you can get more adventures in thanks to the drying weather. A great to treat yourself during this time of year is to check out our hotel bundle packages like our round-trip flight with a one-night stay in a five-star hotel, the Wyndham Legend. 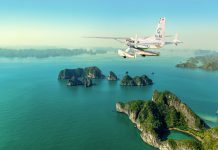 There are two holidays to keep in mind during your trip in September to Halong Bay. There’s National Day that falls this year on the 2nd of September. Finally, there’s also the Hungry Ghost Festival that takes place on the 5th of September this year. This is the time of year when it’s believed that deceased family members come to visit the land of the living and the people pay homage to their ancestors. The skies are continuing to clear, and there’s less and less rainfall. The humidity of the hot, moist summer months is finally starting to break leading the way to more temperate days. The temperature is usually around 26 degrees Celsius or 79 degrees Fahrenheit. You’ll want to pack more of your warmer weather clothing like shorts and short sleeve shirts along with your swim gear, but don’t ignore the slight chance of rain, especially in early October. 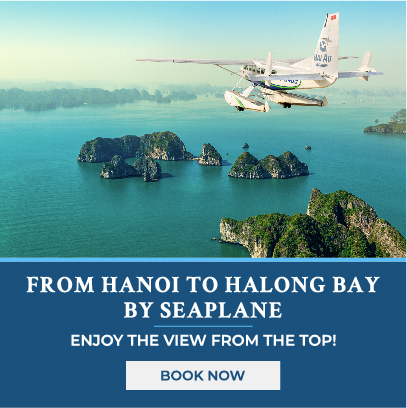 This is another excellent month where you’ll be able to enjoy all that Halong Bay has to offer. 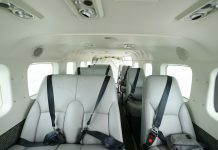 There will be plenty of nice weather days for fun above the bay in seaplane or trek up to a sightseeing platform. Plus, you’ll have the bonus of the warmer weather and water without the heavy humidity that can make most physical activities seem more strenuous than they actually are. This is a great time to hike and bike around the area. 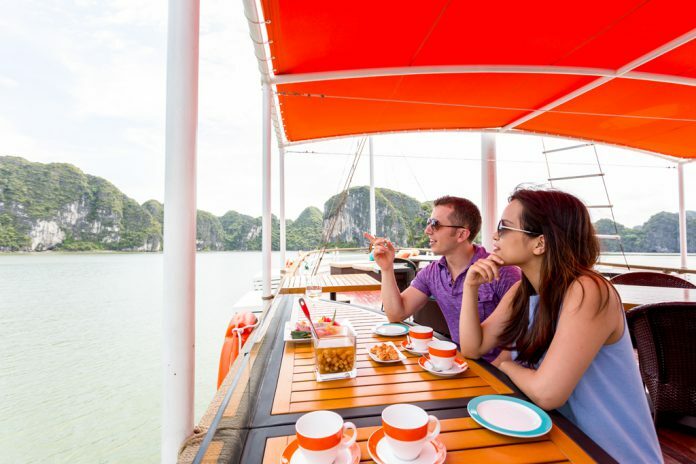 November signals the start of the dryer and cooler weather of winter that makes Halong Bay so perfect to visit. Many enjoy coming to the area at this time. The temperature is at about 24 degrees Celsius or 75 degrees Fahrenheit making it rather pleasant during your stay. When packing, you’ll want to opt for warmer clothing than not, but it can be a good idea to bring along a sweater or light jacket for cooler nights. 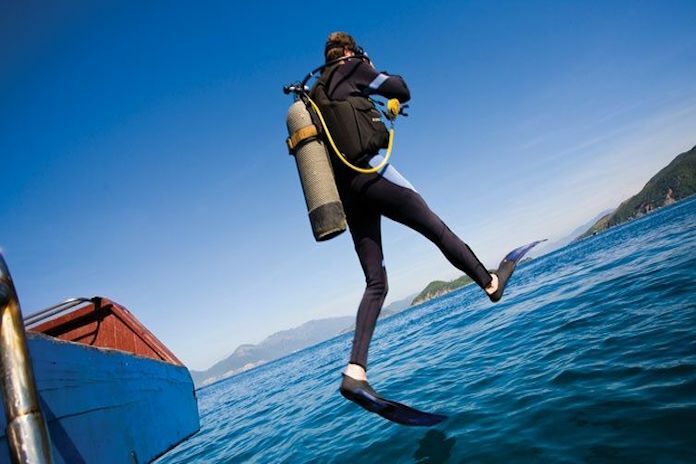 Don’t forget your swim gear as this is prime season for being out on the water. 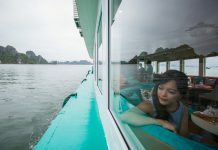 Many say that this is the most perfect month for going to Halong Bay for a junk cruise for one day or more. That being said, if you plan to visit during this time, you should probably book in advance if you’d prefer. 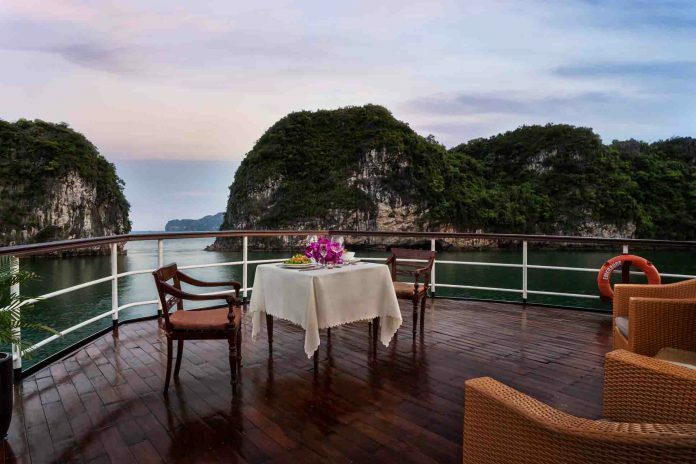 You can check out our previous piece on booking a cruise on Halong Bay for reference. This is also a great time for those that are looking to explore the great outdoors with hiking and biking as the conditions couldn’t be better. December is considered to be one of the driest months in the area because ushers in more cool weather with very little rain in the typical forecast. There are plenty of clear and dry days to get all of your adventures in. Temperatures are about 19 degrees Celsius or 66 degrees Fahrenheit. You’ll want to pack a mix of warm weather and cooler weather clothing for layering, especially as the nights can get rather cold during this month. The winter months are approaching in this region meaning that this cool down makes it perfect for exploring. You can enjoy many of the land activities that get you moving, such as hiking, but you may want to skip the water activities depending on how you like your water temperatures. 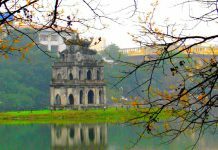 Although Christmas is not celebrated in Vietnamese society, you’ll notice that more people are paying attention to visitors that come to the area during this season in case you’re thinking of skipping Vietnam for missing out on this holiday. It won’t be exactly the same, but it’s not completely ignored by everyone either. 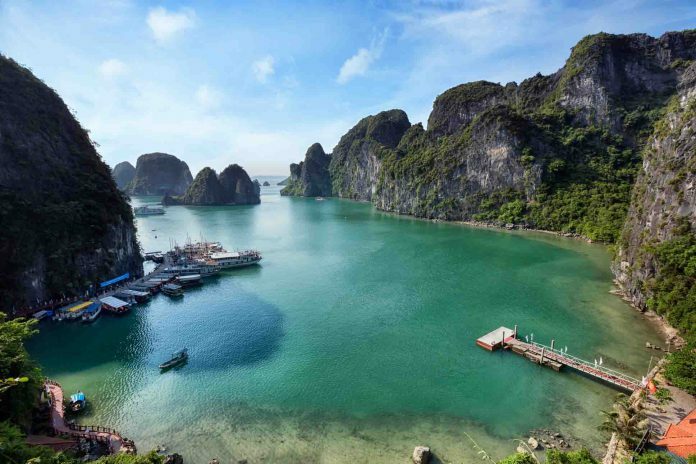 Halong Bay is a beautiful destination no matter what time of year you plan on visiting. Winter and Spring are considered peak times to visit the region, but the Fall and Summer have their own benefits. Many enjoy traveling off peak season to be able to enjoy a region without having to deal with more tourists. 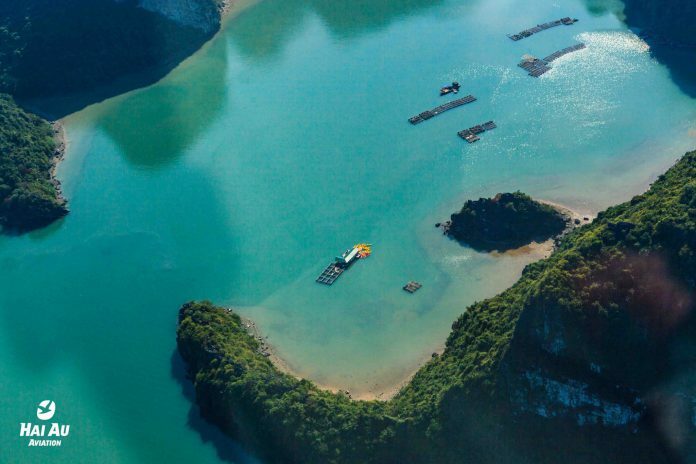 Halong Bay weather doesn’t need to be a mystery for your upcoming trip. Following this guide, you should be able to plan ahead for what you can expect from the weather during your vacation to the area. Have fun and explore the area during your stay. 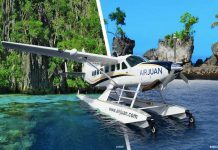 Need some help with planning your trip or want to book a seaplane? Contact us today. 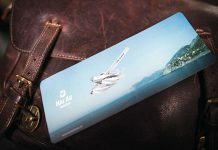 We are ready to help you to plan the vacation experience of a lifetime.